The Contoure Modern Cat Tree by ContempoCat is a stunning piece of artwork that happens to be for your cat. This beautiful cat tree is both a people-pleaser and a cat-pleaser. And that’s one of the reasons The Contoure Modern Cat Tree gets Kitty Loaf’s seal of approval. ContempoCat, formerly WhiskerStudio, is the manufacturer. The Contoure Modern Cat Tree has been on the market since 2011. As ContempoCat’s website proclaims, their goal is to build furniture for your cat that is aesthetically pleasing rather than embarrassing. ContempoCat uses locally-sourced materials and manufacturers all of their products in-house in Mathews, NC. 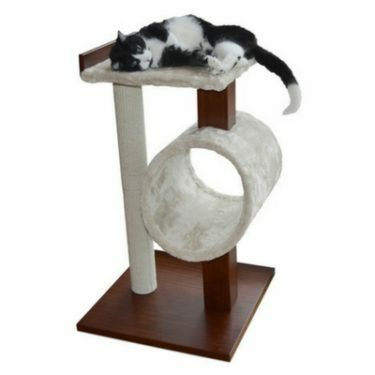 The Contoure Modern Cat Tree stands 68 inches tall and has 4 carpeted platforms. It is made of cabinet-grade birch plywood and comes unfinished. Assembly is pretty straightforward and can be done in less than 30 minutes. The product is unfinished and can be used as-is or painted/stained to match your home décor. We think it looks just fine as is. 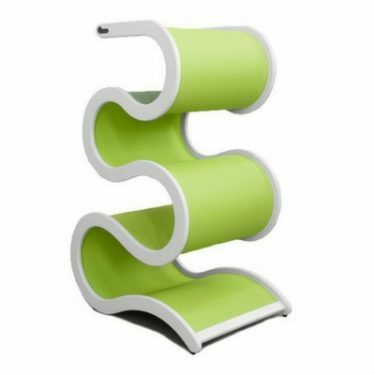 The Contoure Modern Cat Tree really could function as a standalone piece of artwork. 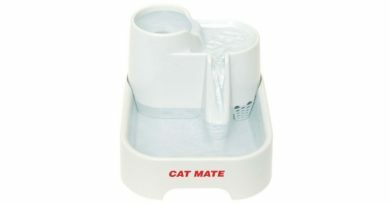 Most people will have to do a double-take when you tell them its true purpose is for your cat. 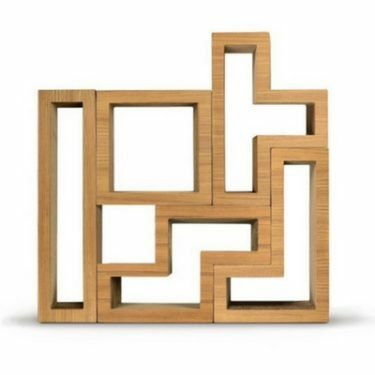 The small footprint and sleek design ensure it will fit nicely in any room. Since it comes unfinished, you’re able to customize it however you’d like. The Contoure Modern Cat Tree is at the top of our list for people-pleasers. Now let’s see how the cats like it. At 68 inches tall, your kitty will have ample vertical climbing space. 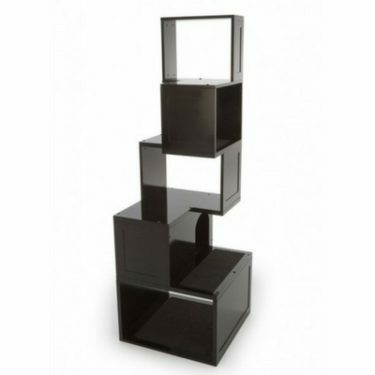 The alternating shelves are properly spaced and covered with carpet to allow for easy-climbing. The platforms are also great for lounging. And they are deep enough to accommodate large cats too! 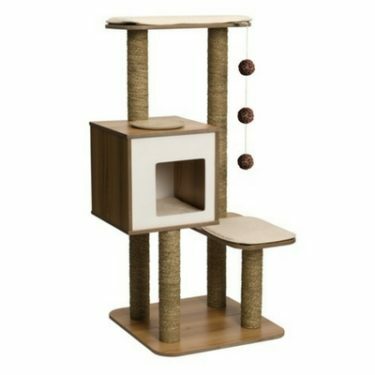 As with some of the other tall cat trees we’ve reviewed, stability is always a top concern of cat owners. 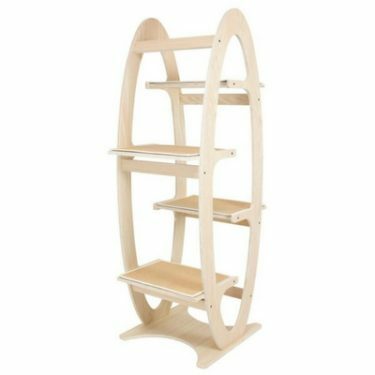 The Contoure Modern Cat Tree is a bit wobbly when you have multiple cats jumping on it. But it’s not wobbly enough to deter the cats and we don’t think there’s any risk of it tipping over. The Contoure Modern Cat Tree is a great climbing apparatus, but we wish it had some additional functionality like many of its competitors. This cat tree doesn’t offer much privacy for cats that like to hide. 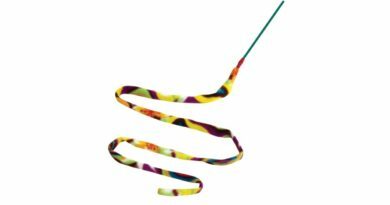 And it doesn’t have any areas for scratching. If you’re looking for an all-in-one type of cat tree, this The Contoure Modern Cat Tree is probably not your best bet. But the functionality it does have is cat-friendly, so we can’t complain. 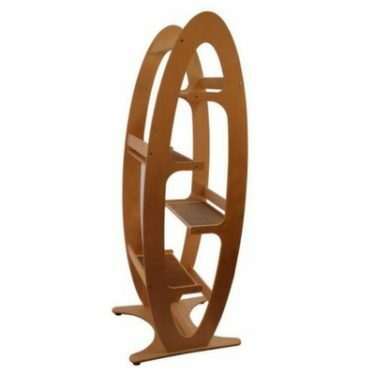 The Contoure Modern Cat Tree has the look and feel of high-quality furniture. The tree itself is very well-made and should outlast most of its competition. 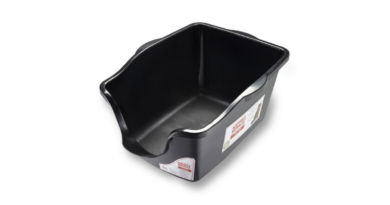 The simple design works great for cats and is aesthetically appealing to people. The carpet pieces appear to be glued on, so replacing them won’t be easy. We were impressed with the smoothness of the unfinished plywood. It’s pretty much ready for staining. 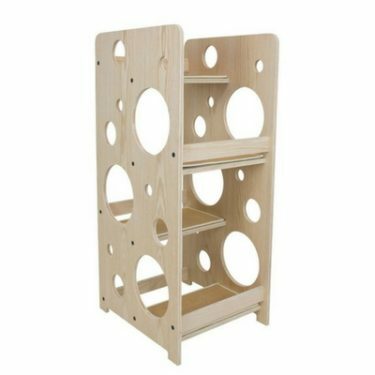 The retail price of The Contoure Modern Cat Tree (Unfinished) is $297. That puts it right in line with some of the other modern cat trees of this size. But keep in mind this cat tree is unfinished and depending on your preference, may end up costing you more money and time. The manufacturer used to offer this cat tree with a finished option for a bit more money, but not anymore. 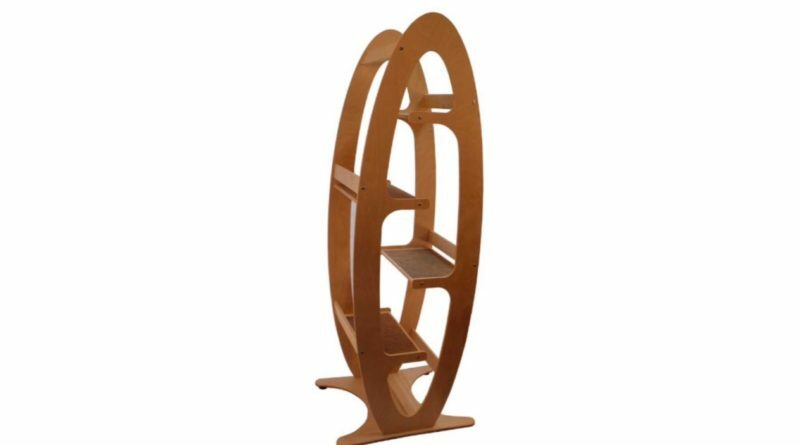 Very little can be done to improve The Contoure Modern Cat Tree without sacrificing its beautiful design. Using Velcro carpet pieces instead of permanently affixed ones would make this tree more cat owner-friendly. 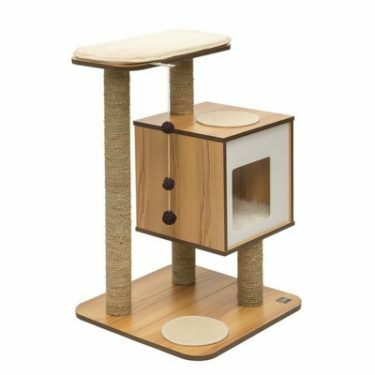 Even though The Contoure Modern Cat Tree doesn’t offer all the functionality of some of its competitors, it gets top marks for the most important one.